BOOM! 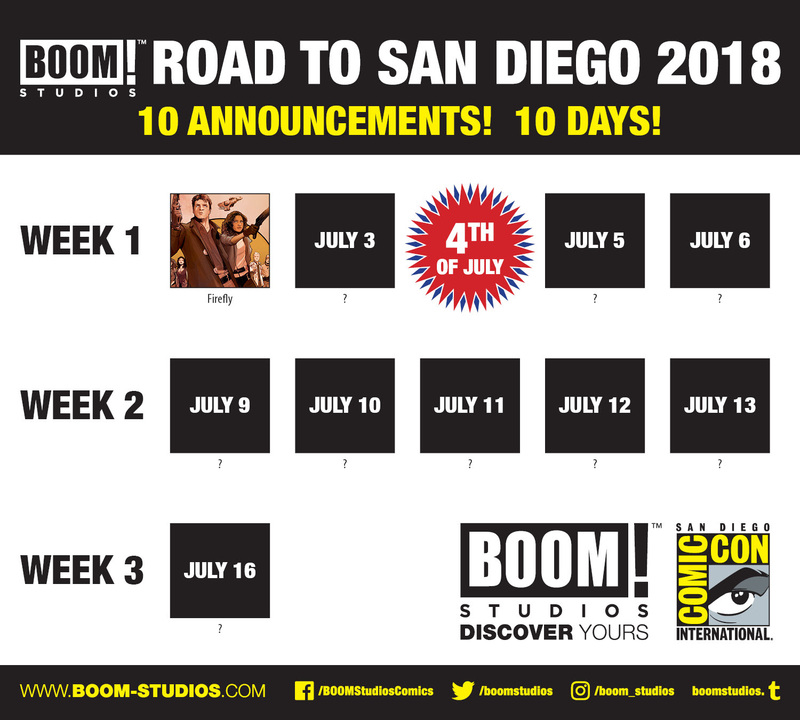 Studios is proud to kick offThe Road to San Diego, a ten-day spotlight on the most exciting comic book and graphic novel news in advance of Comic Con International in San Diego (July 18-22), with the announcement it has acquired the comic book and graphic novel publishing license to Joss Whedon’s FIREFLY, the iconic worldwide pop culture phenomenon. BOOM! Studios will release new monthly comic book series, limited series, original graphic novels and more that officially expand the rich mythology created in television, film and beyond in partnership with 20th Century Fox Consumer Products. Created by visionary writer and director Joss Whedon (Buffy The Vampire Slayer) and set 500 years in the future in the wake of a universal civil war,FIREFLY centers on the crew of Serenity, a small transport spaceship that doesn’t have a planet to call home. Captain Malcolm “Mal” Reynolds, a defeated soldier who opposed the unification of the planets by the totalitarian governed Alliance, will undertake any job — legal or not — to stay afloat and keep his crew fed. 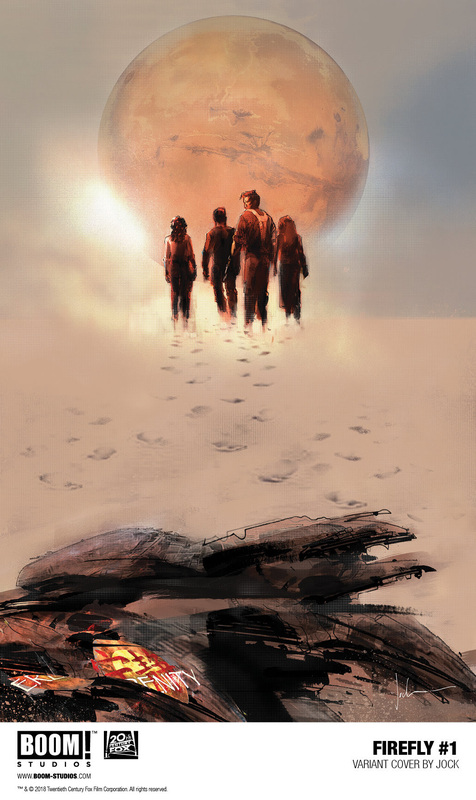 Thrust together by necessity but staying together out of loyalty, these disparate men and women are seeking adventure and the good life, but face constant challenges on the new frontier, such as avoiding capture by the Alliance, and evading the dangers you find on the fringes of the universe. FIREFLY #1 is available exclusively in comic shops (usecomicshoplocator.com to find the nearest one) on November 14, 2018 with a main cover by superstar Lee Garbett (Skyward), along with variant covers by Jock (Batman), J.G. Jones (Final Crisis), Bill Sienkiewicz (Daredevil), Joe Quinones (America) and more. 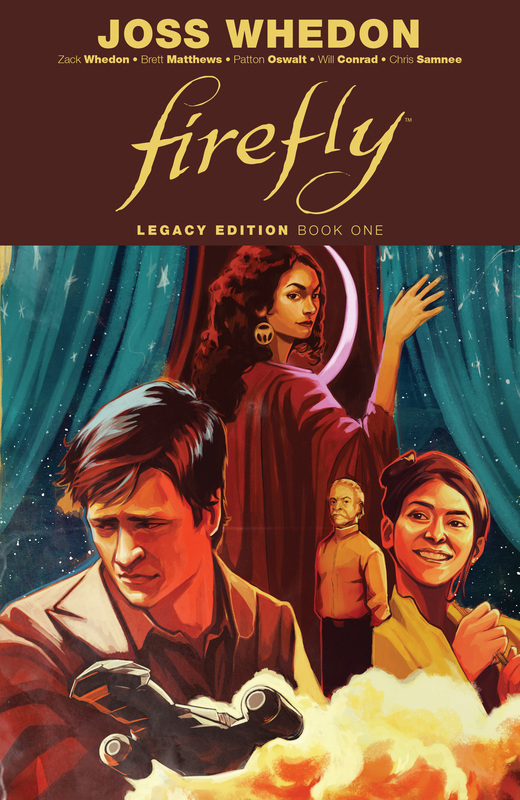 Arriving in stores the same day, FIREFLY: LEGACY EDITION BOOK ONEcollects previously released Serenity comics for the first time under one cover in a new value-priced format as Mal & the crew ride again in these official sequels to the critically acclaimed Firefly television series and Serenity film. 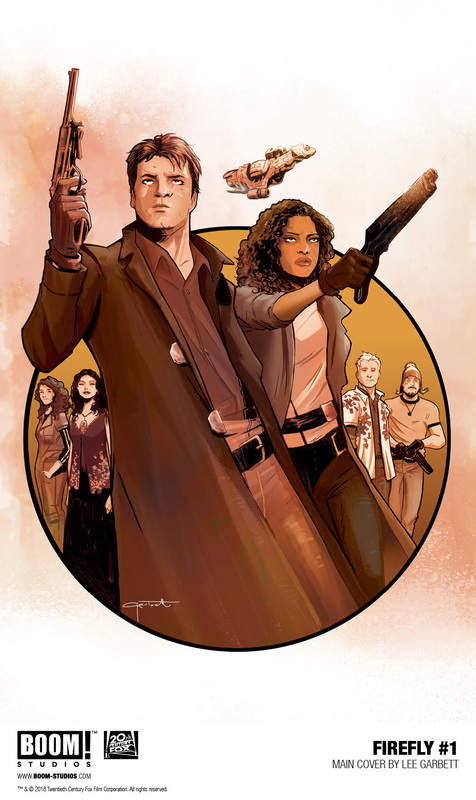 For continuing news on FIREFLY and more from BOOM! Studios​, stay tuned towww.boom-studios.com and follow @boomstudios on Twitter.